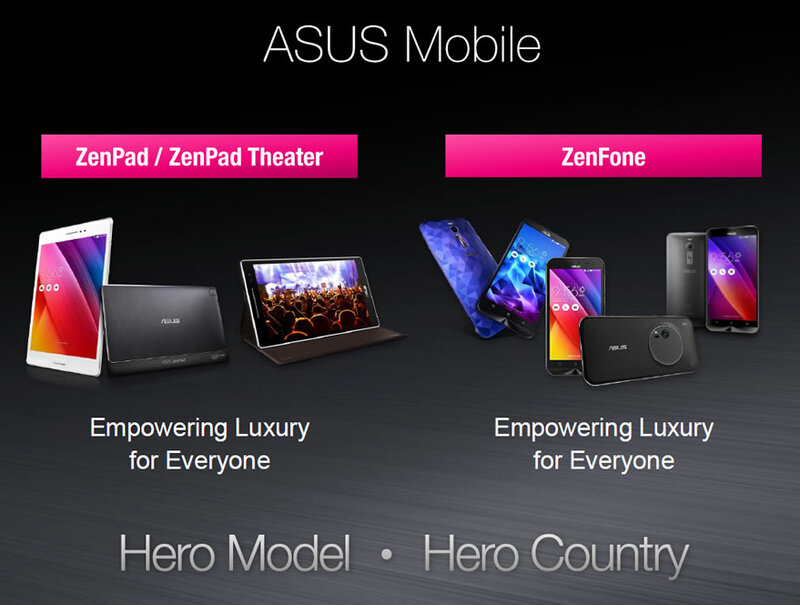 Jerry Shen, Asus CEO, has talked in previous investor conferences regarding a strategy called Hero Model, Hero Country. In the most recent investor conference this November 11th, Jerry Shen talked again about Hero Model, Hero Country as it relates to their mobile products (smartphones and tablets). Shen mentioned a time in the past when Asus previously only sold notebooks. They would sell to 60 to 80 countries at the same time. Jerry Shen restated that Asus can no longer release products in that way and would use the “hero” strategy which involves selecting a few hero countries and targeting them first. Until now, we didn’t have a clear understanding of what this strategy meant as it related to the ZenPad tablets. We can now say with some certainty that this “Hero Model, Hero Country” strategy is playing a role in the delayed release of the ZenPad S 8.0 (Z580CA) to some markets. This may be the explanation for some of you who are patiently waiting for a retail release of the Z580CA. One more important comment from Jerry Shen regarding this hero strategy was mentioned during this investor conference. So if you’re not in a “hero country” are you out of luck for the ZenPad S 8.0 (Z580CA)? We don’t have a clear answer just yet. We can say that the Philippines just got a retail release of the Z580CA this past week and that market doesn’t strike us as being a “hero” market. The quote above is perhaps more of a passing comment than it is a rule. We are going to see over the next few months which markets are without the ZenPad S 8.0 and then we can determine the scope of this strategy. For now we suggest you hold tight for more news if your country is still awaiting a release. Our view and hope is that the strategy is more about who gets the hero first, rather than simply denying some markets entirely of a hero product. We’re watching this and will update the site accordingly.